Rete Consulting provides you affordable solutions to the most complex technology problems faced by businesses against a fixed monthly fee. Seamless, organization-wide communication made possible! Improve the reliability of your network with Rete's superior-quality voice and data networking solutions that promise you unparalleled performance and excellent efficiency. Managing complex IT infrastructure and maintaining multi-vendor relationships can prove to be challenging and inefficient. 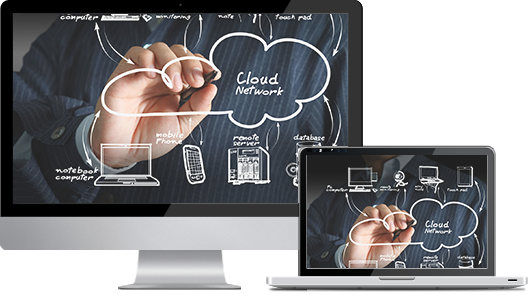 Rely on Rete's managed IT services that take of everything from computer and server support to network security and maintenance. Adopting an ad-hoc approach towards technology planning can lead to serious consequences in the long run. Let Rete assess your technology needs and your current IT infrastructure to suggest changes that will maximize technology effectiveness for your business. Whether you're launching your first website or managing a robust e-commerce platform, Rete has the right web and email hosting solution that will serve your hosting needs today and tomorrow. From physical and virtual servers to point-to-point WiFi, Rete Consulting provides businesses with cutting-edge communication technology and tools, helping them communicate with internal and external stakeholders in a seamless and trouble free manner. Unlike other IT companies in Lakeway, Rete Consulting operates on a unique business model that puts performance before profit. Leveraging on the expertise of our dedicated team, we provide our customers with innovative, custom-built IT solutions that not only address their IT management needs, but also add to their workplace productivity. Operating on the principles of transparent delivery, rapid resolution, and extended customer support, Rete Consulting provides businesses with a unique way to manage their IT infrastructure. We offer a wide spectrum of tried and tested solutions and services that are sure to make technology less complex and more fruitful for your firm. Get in touch with us today to experience the benefits of outsourcing IT management to Lakeway's preferred IT company, Rete Consulting. To learn more, call us at (512) 596-5001.